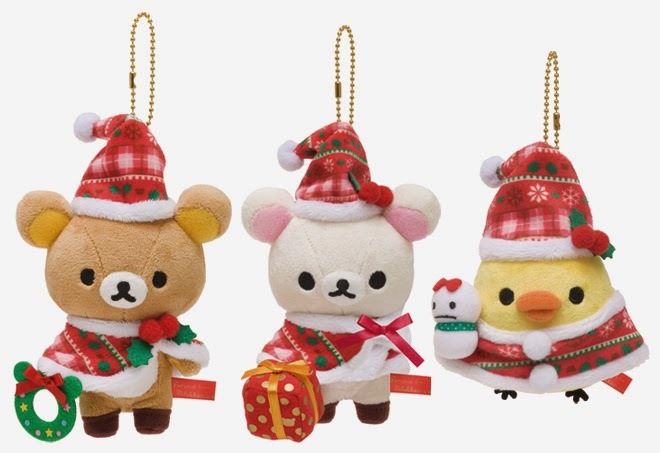 Rilakkuma Shop: Rilakkuma Christmas 2014 Plushies! 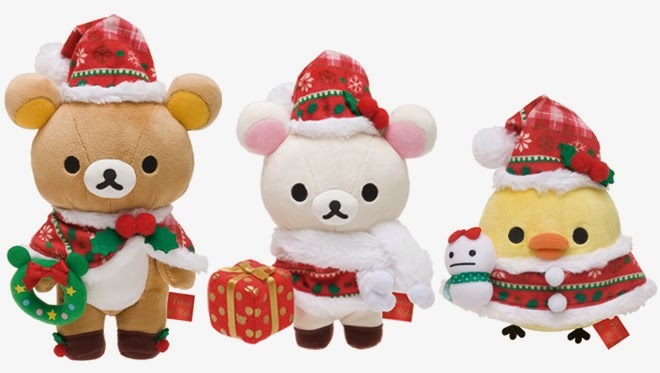 The annual release of the Christmas theme Rilakkuma and friends! It seems that this year, its all about the knits! Look at how beautiful their knitted hats and capes look like! Rilakkuma and Korilakkuma are "given" boots to wear and I love the pure white fluffy scarf on Korilakkuma! It makes her look so dainty and cute. I would love to see how the tag looks like on them too. They are set to release on 1 November 2014 in Japan. From the looks of it, it seems that the clothes on the plushies are unremovable. But look at the rest of the details! The Christmas wreath is made into bear head shape! 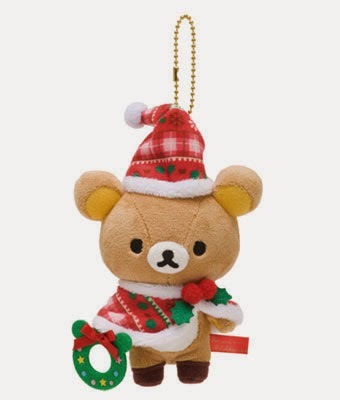 How nice would it be to make one such wreath your own and add mini Rilakkuma plushies on it! I bet it will look so pretty. If anyone manage to do this, please take a photo and share it with us. 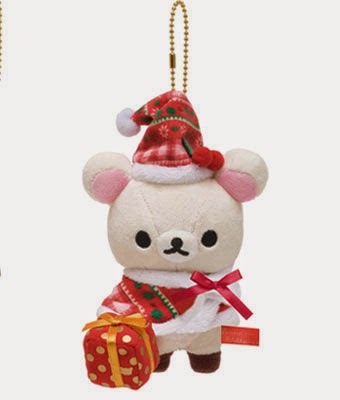 The Christmas cherries are also attached onto the hats of Rilakkuma and friends. 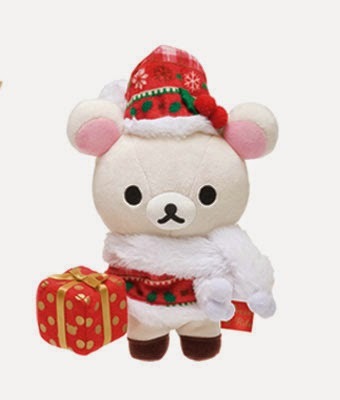 How would you like Korilakkuma to come to your house to give you a present? She'll make the perfect Santa helper! Recently, our love for Kiiroitori has increased! That's why you'll see more of him in our store from now on. Due to his tiny feet, he wasn't given any boots but that does not make him less cute. He made himself a new friend with a female Snowy! It is funny how the both of them seems to have the same expression. 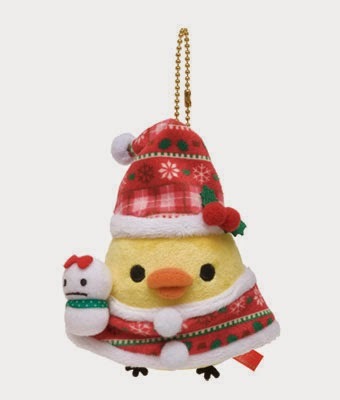 Hanging plushies are the best Christmas tree decorations! All you'll need to do is to hang them! You can start collecting them now and add new ones each year. You can also get them to hang on your work bag or school bag to start looking forward to Christmas. 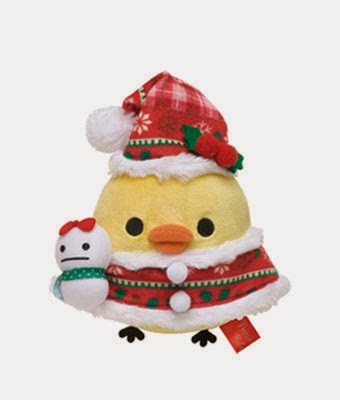 We've ordered one set of each plushies and hanging plushies for ourselves so we can start decorating our place when Christmas comes! This has got to be one of the top ten Christmas tree this year! It is filled with Rilakkuma and friends goodness! Look at Kiiroitori as the star! And if only, this is a real cake, it will be so nice on the cake display stand. 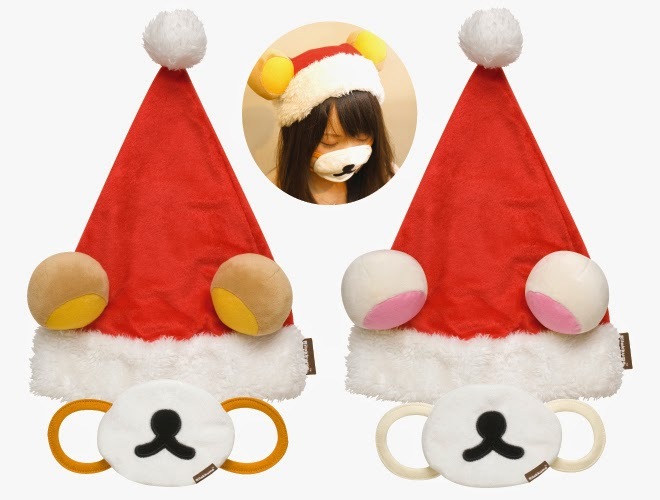 Rilakkuma Christmas hats and masks! In many countries, Christmas happens during the winter season, so you might need to wear masks to protect your nose and mouth from dehydrating. 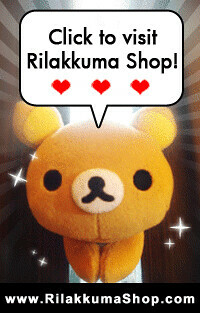 Now, we can make everything better by wearing Rilakkuma and Korilakkuma masks! 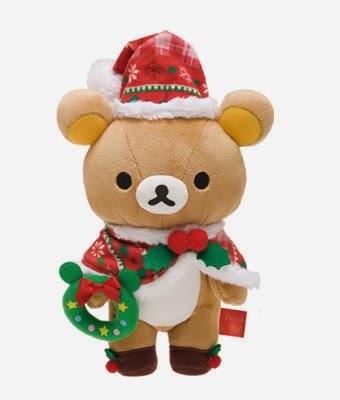 Carolling will be more fun if wear your favourite Rilakkuma. The ears are not removable but they make such a cute appearance. If you already own the ears, just get a cheap Christmas hat from DAISO or anywhere and cut two tiny holes to fit the clips in and clip them on. The hat and masks are sold as a set and not separately. Can't wait for Christmas to come so we can play with all these toys! 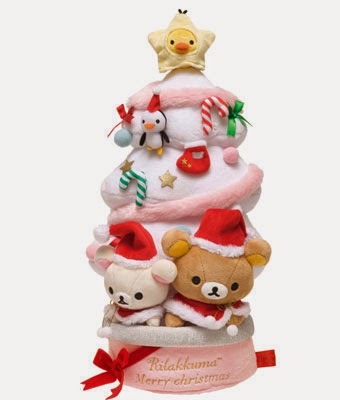 Earlier on, we've blogged about the Rilakkuma Advent Calendar as well, take a look! These pre-orders will be closing on 31 October 2014 or while stocks last. There will not be a back order for them after the pre-order closes.